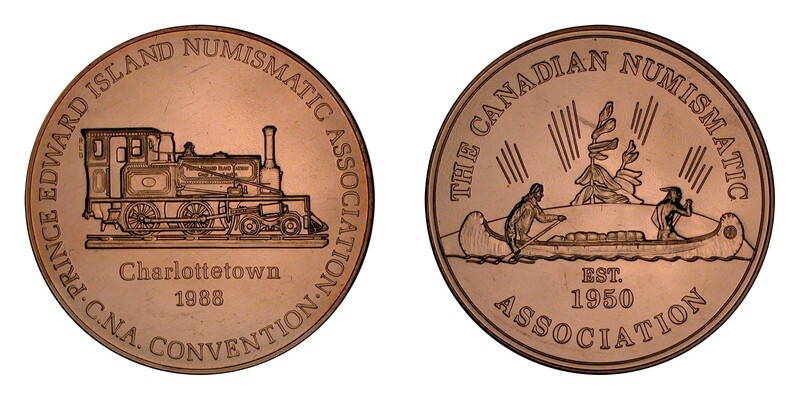 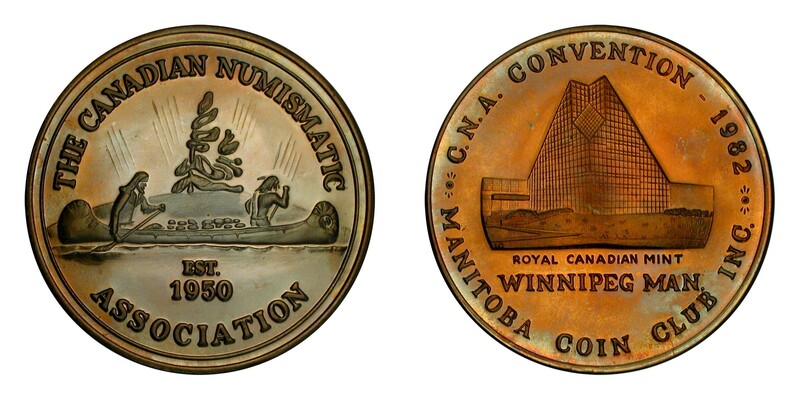 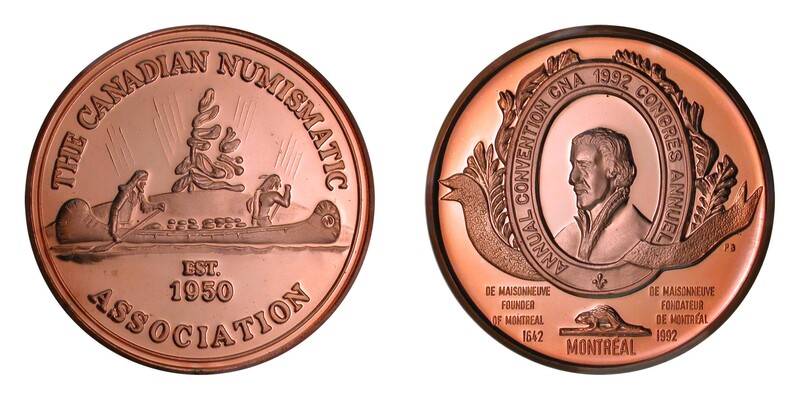 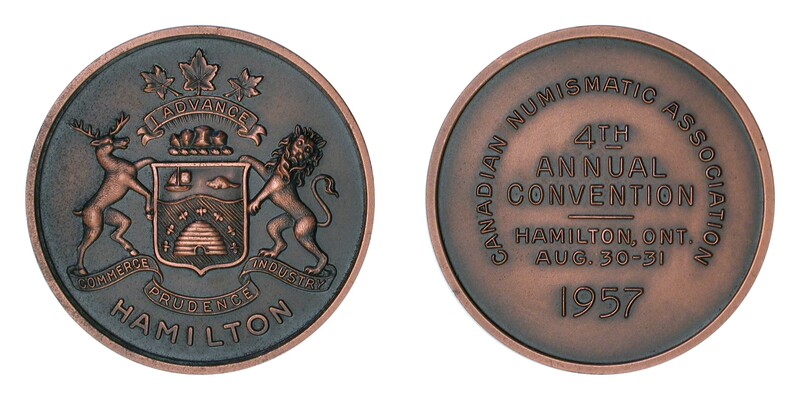 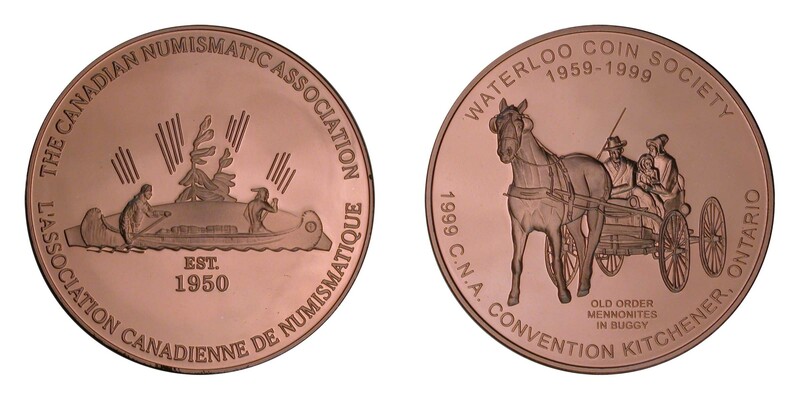 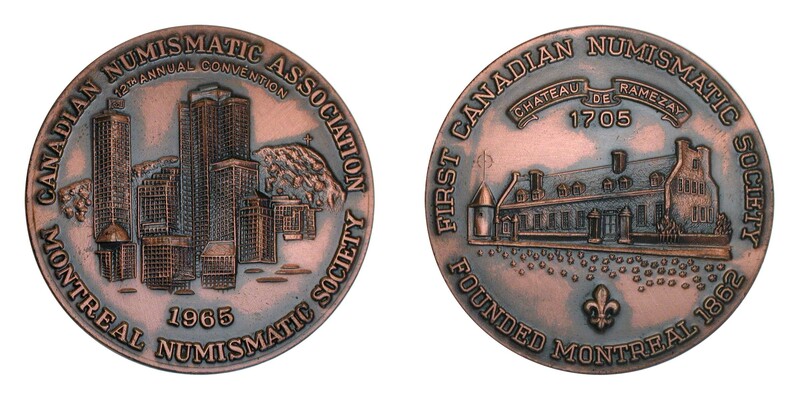 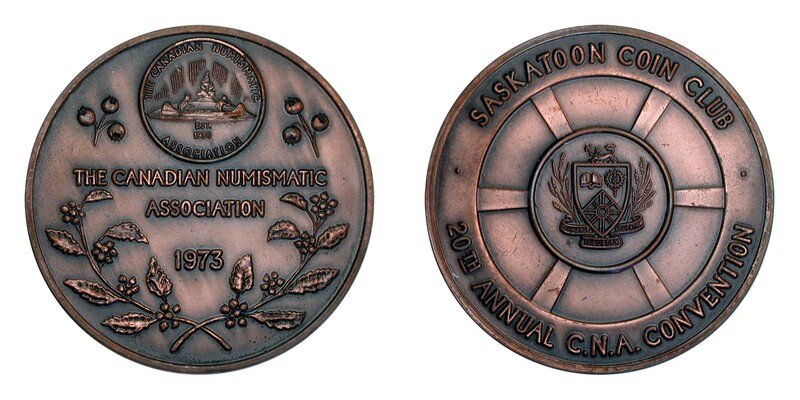 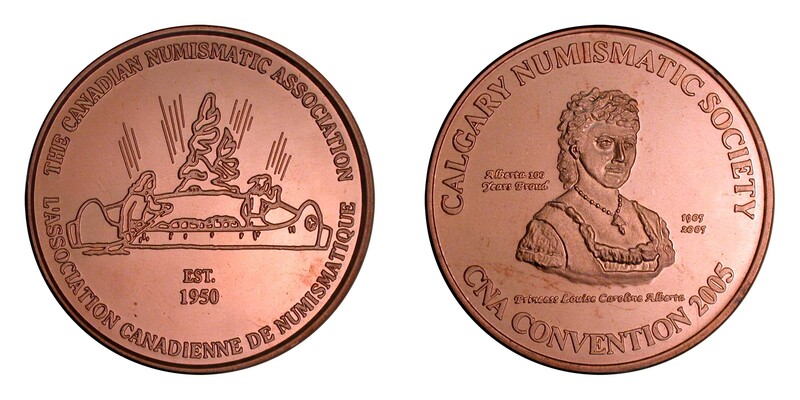 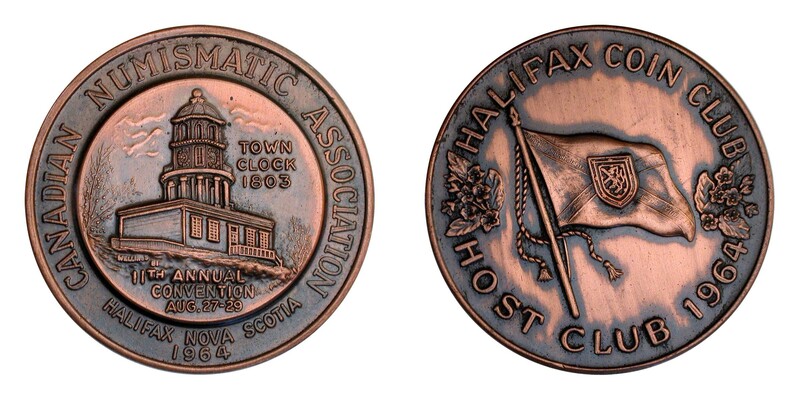 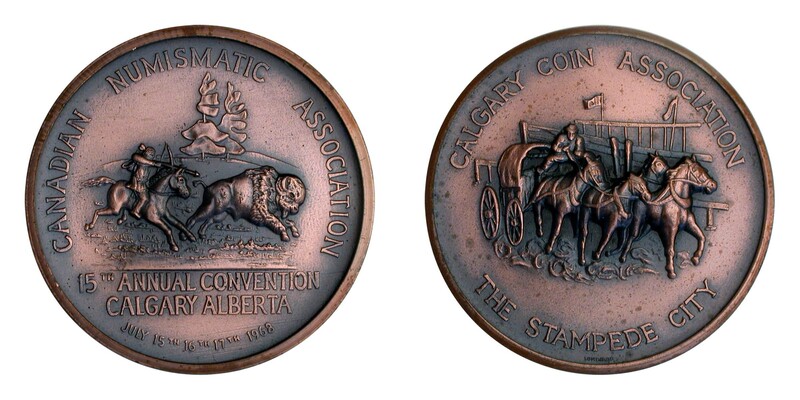 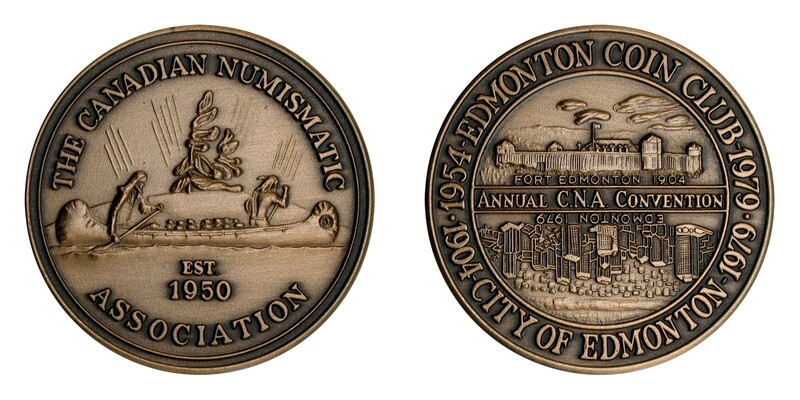 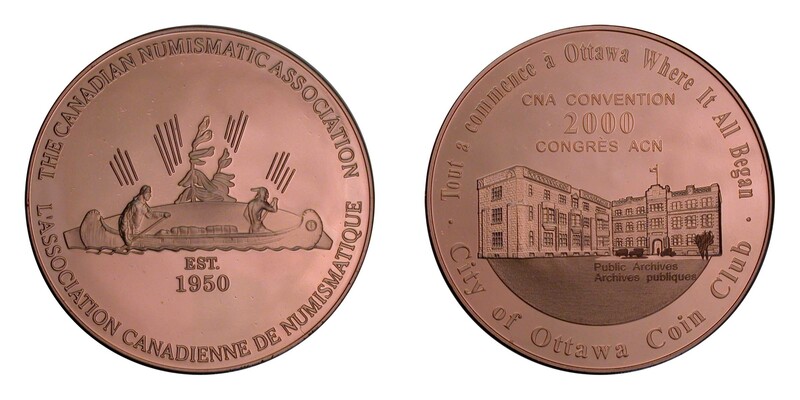 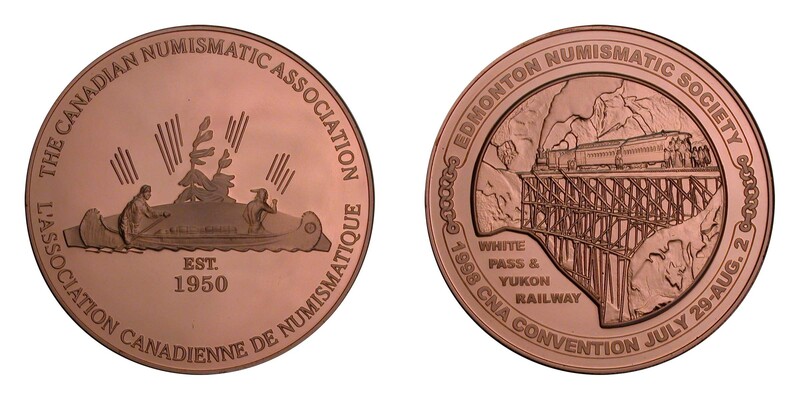 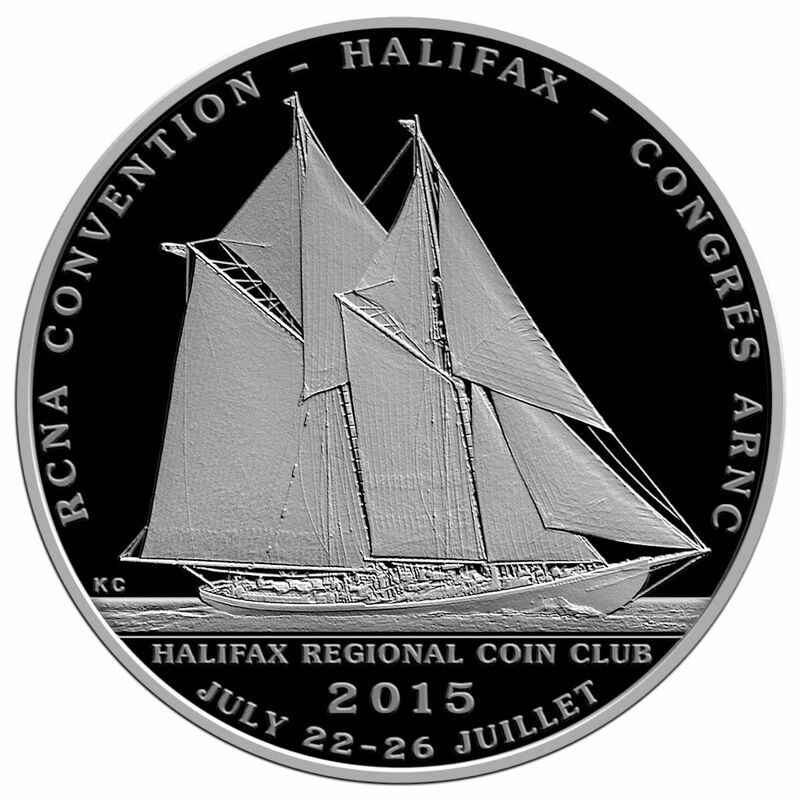 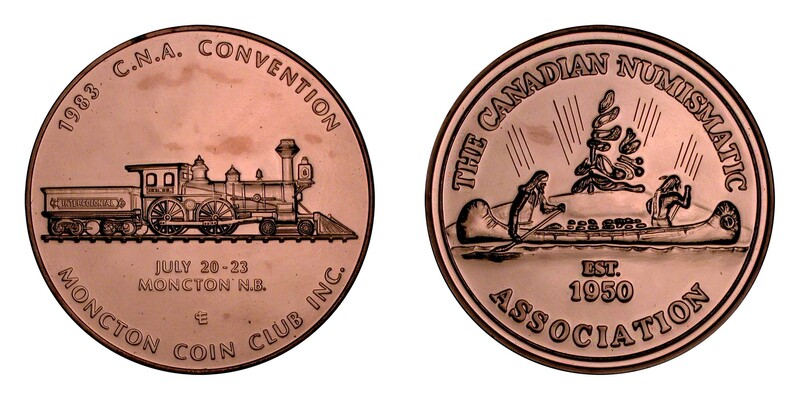 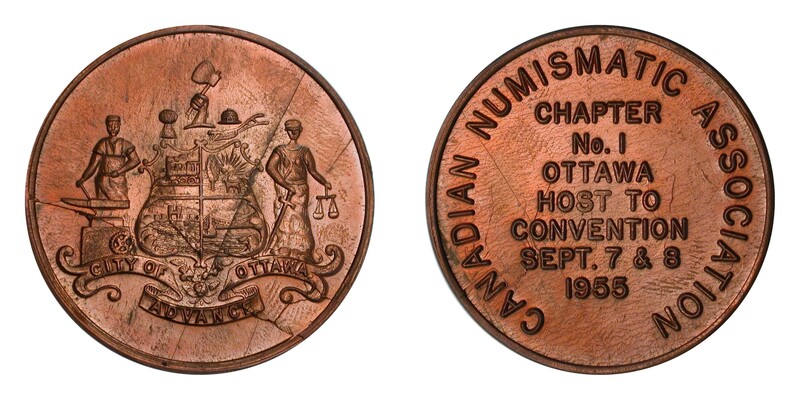 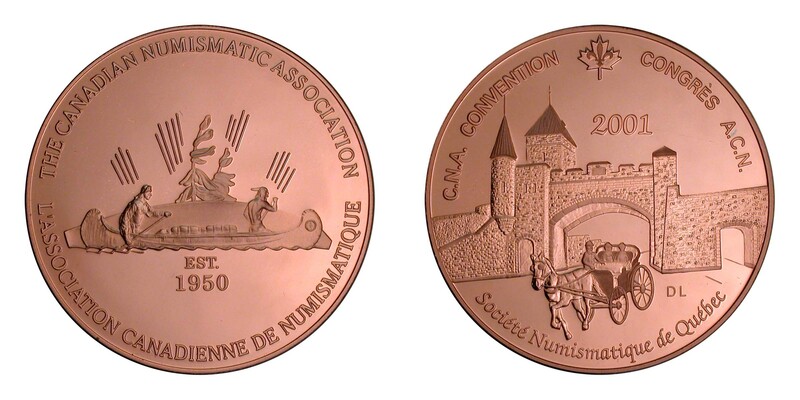 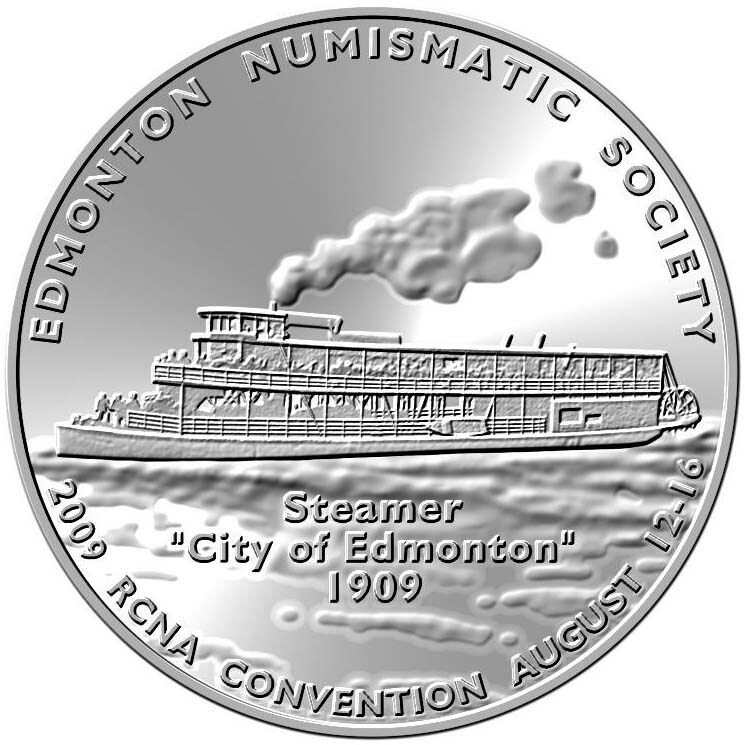 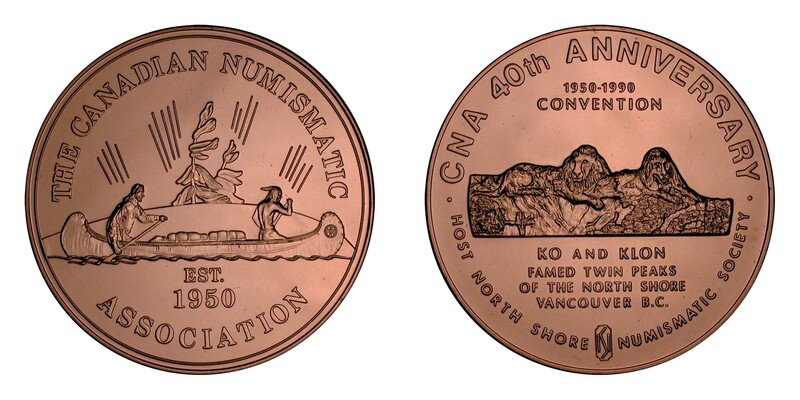 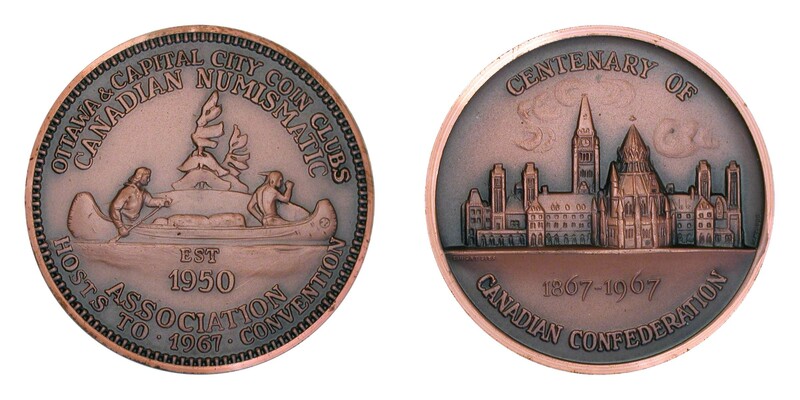 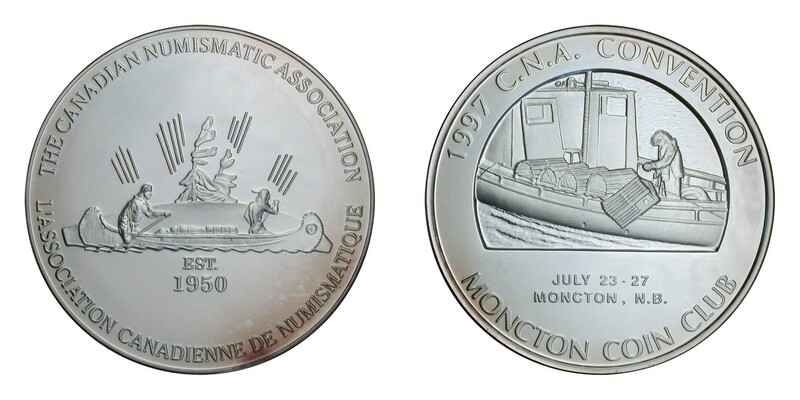 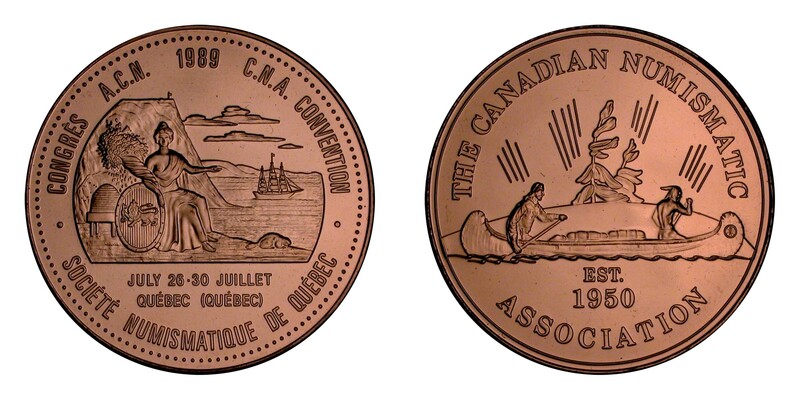 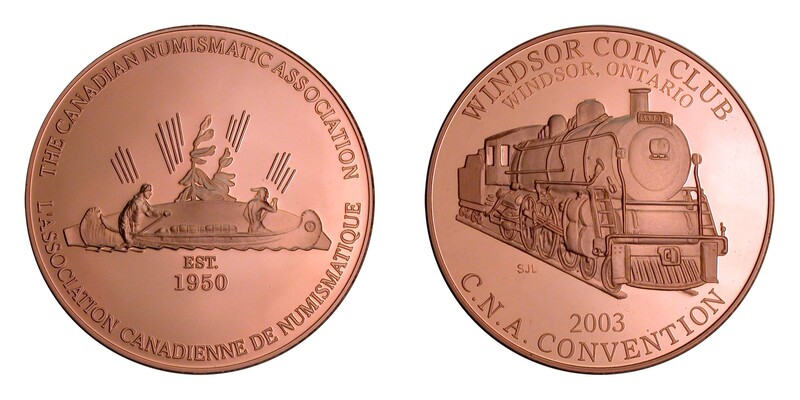 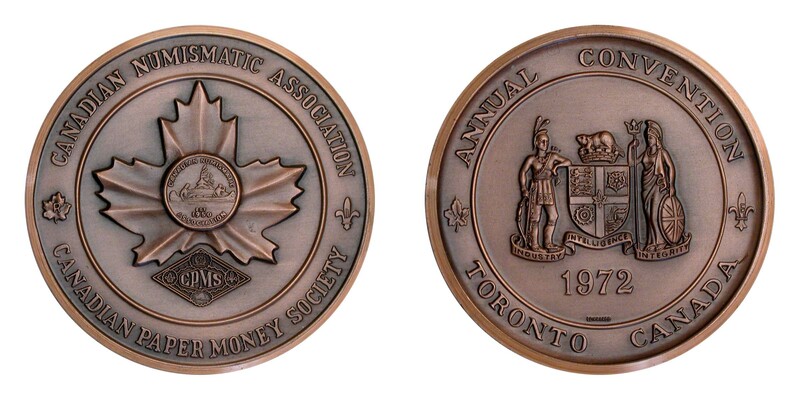 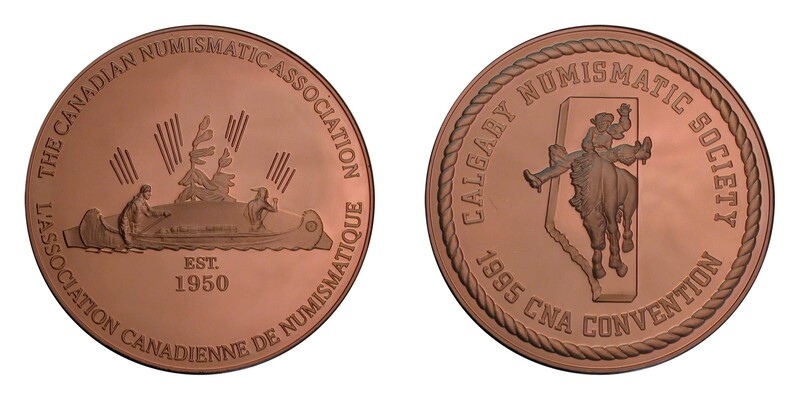 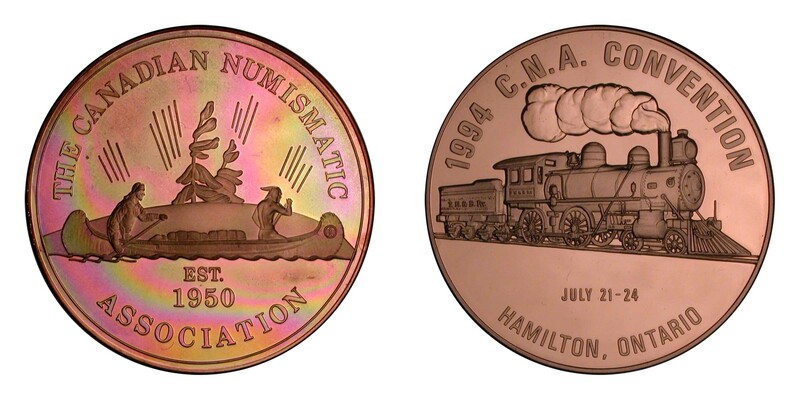 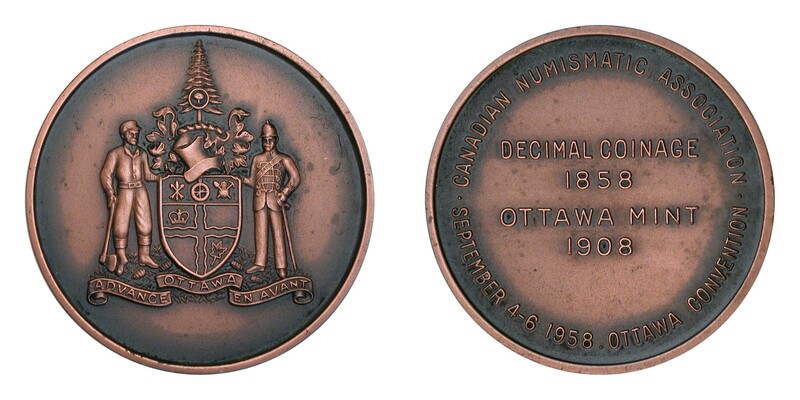 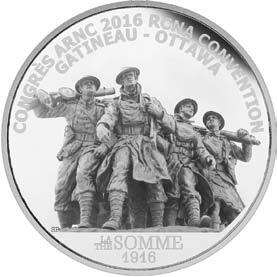 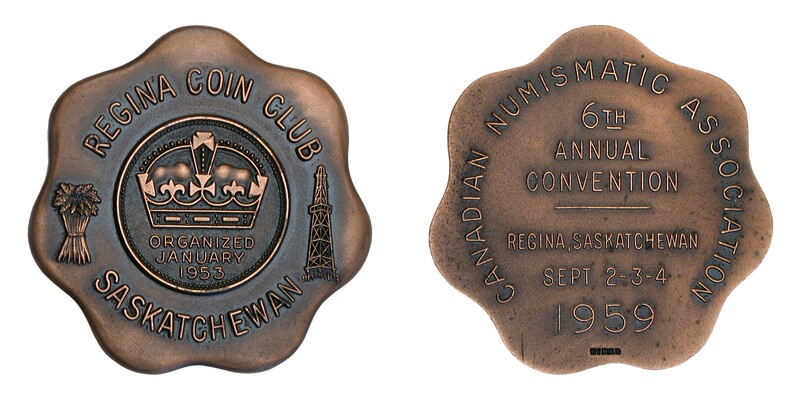 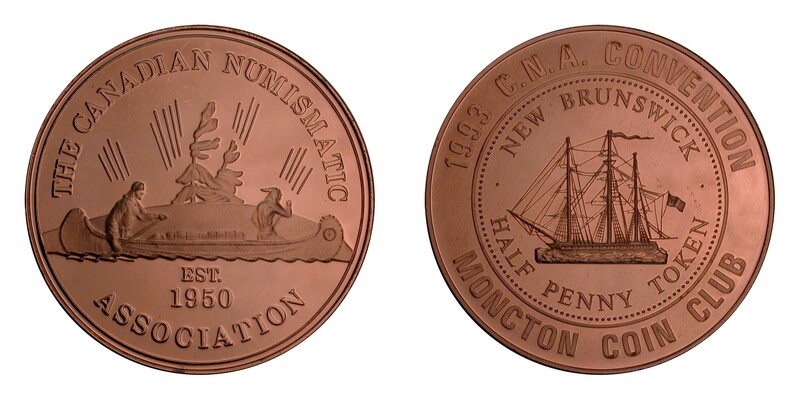 Each year, The Canadian Numismatic Association strikes a limited quantity of official souvenir medals commemorating the annual convention. 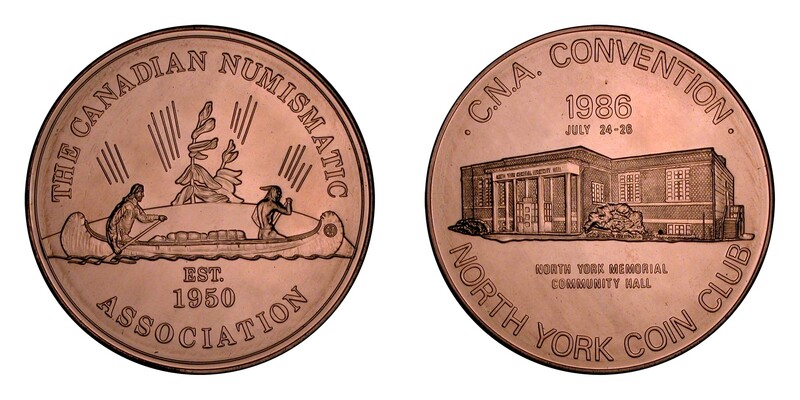 Struck in small quantities to assure they remain a very worthy collectible, they contain the official C.N.A. 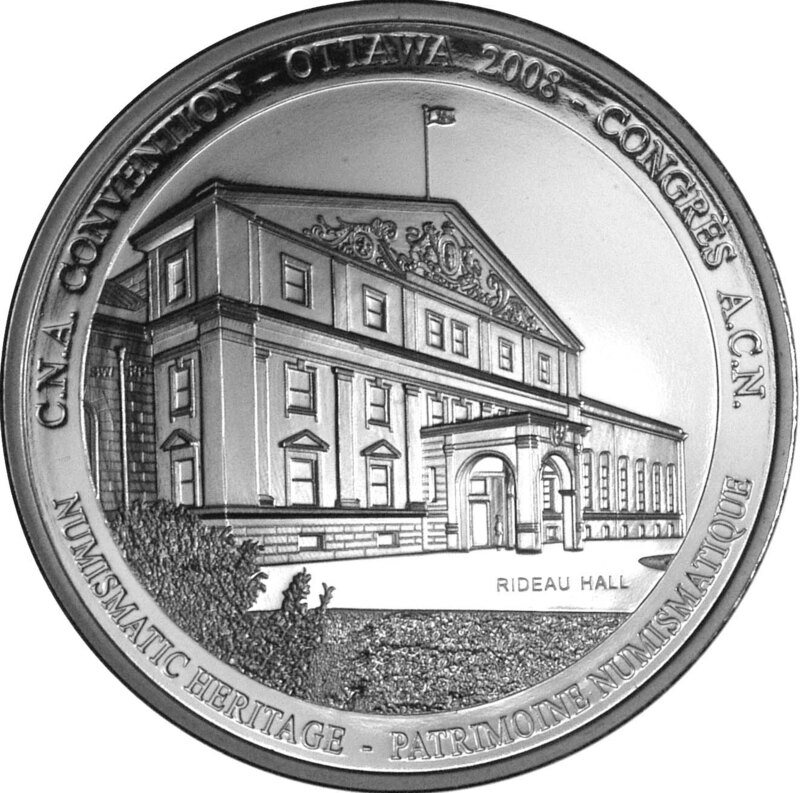 crest on the obverse, while the reverse features appropriate convention information. 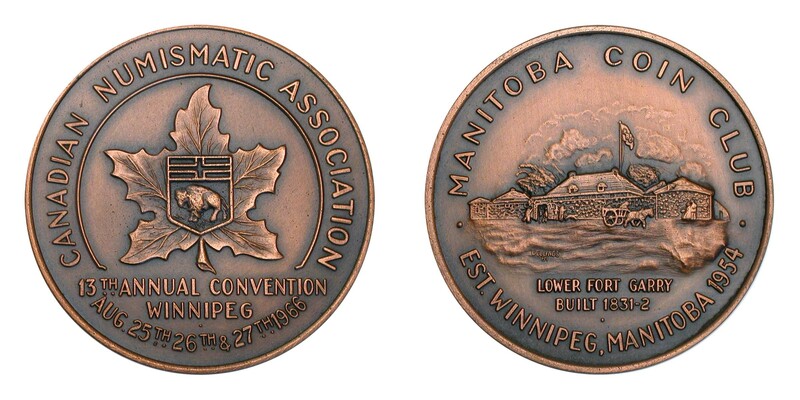 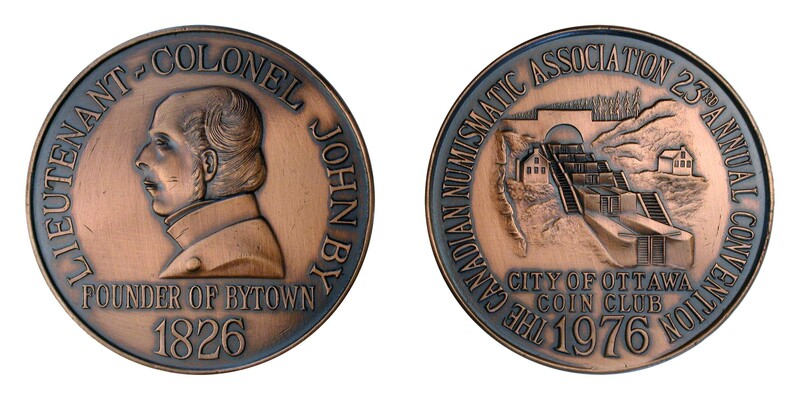 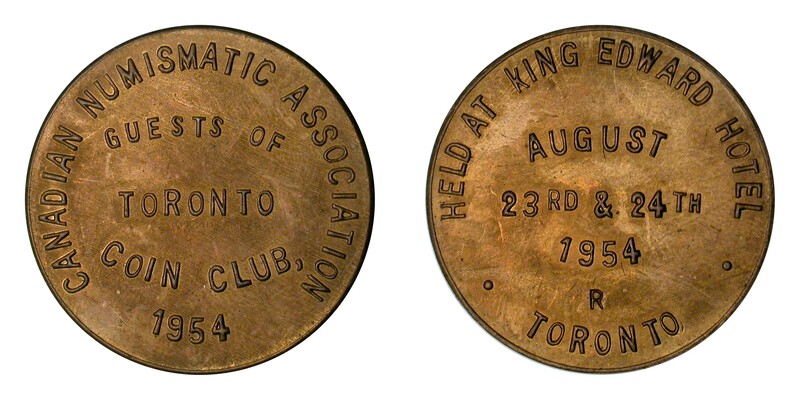 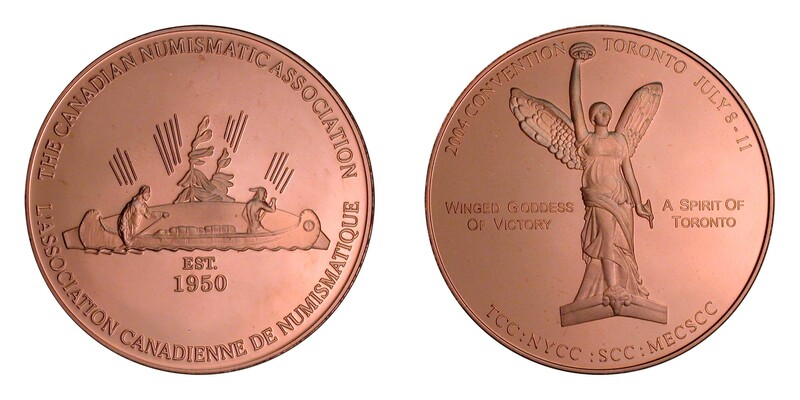 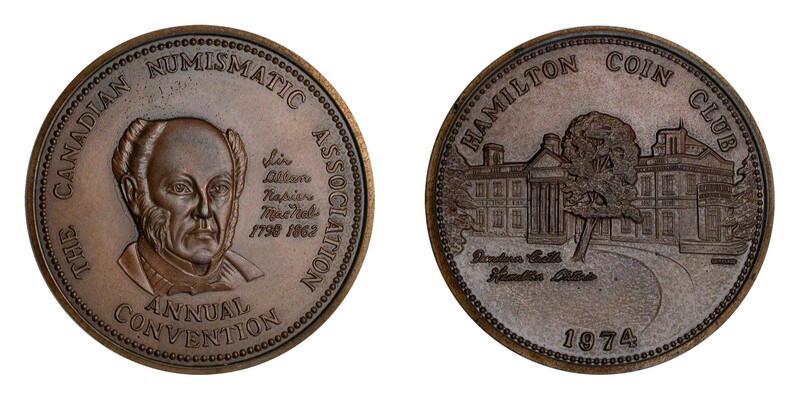 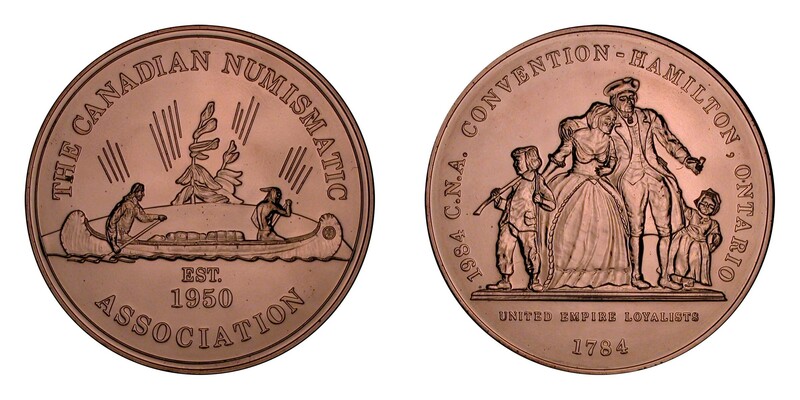 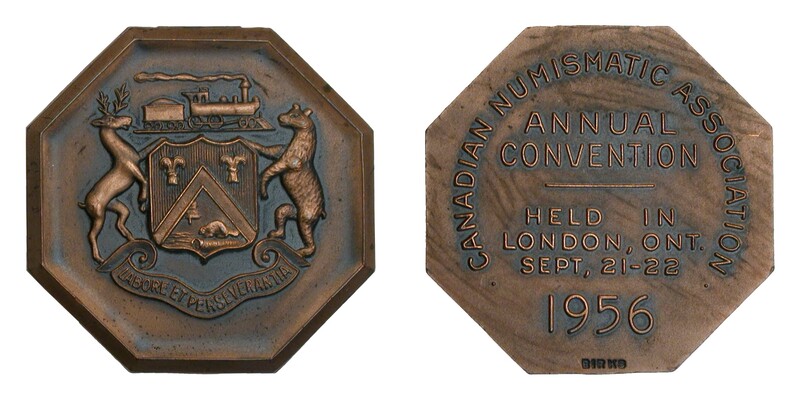 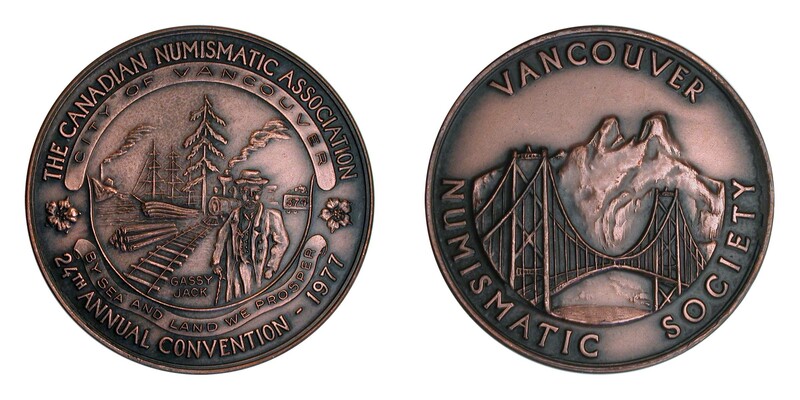 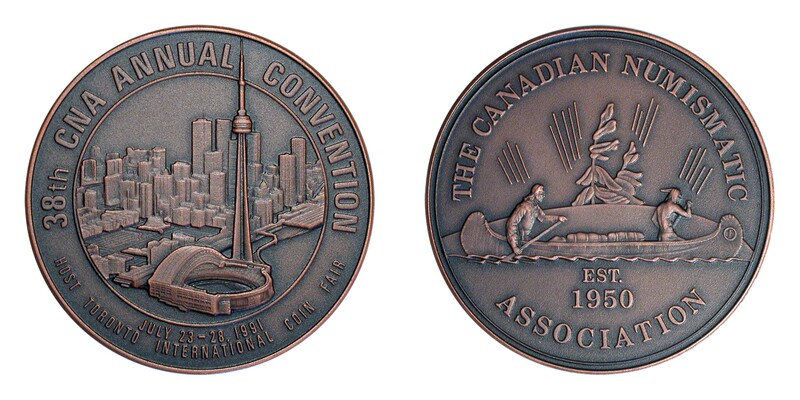 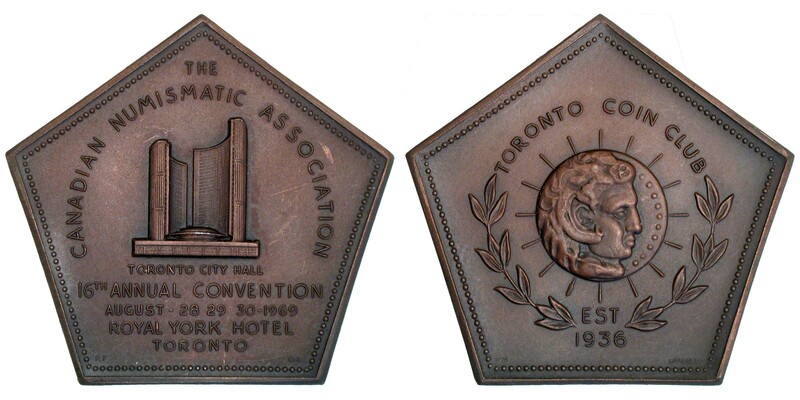 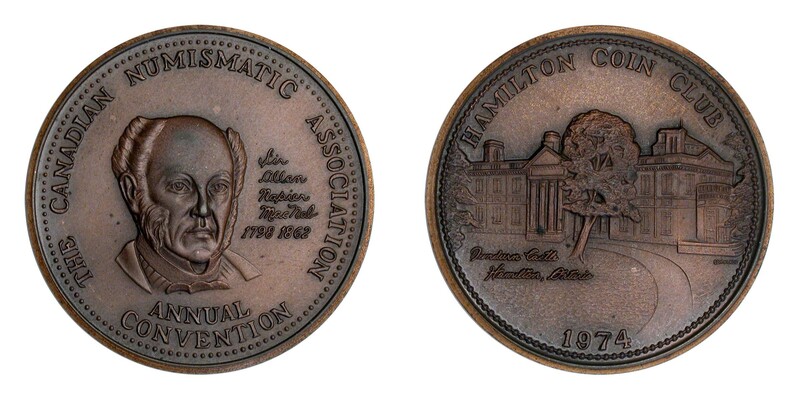 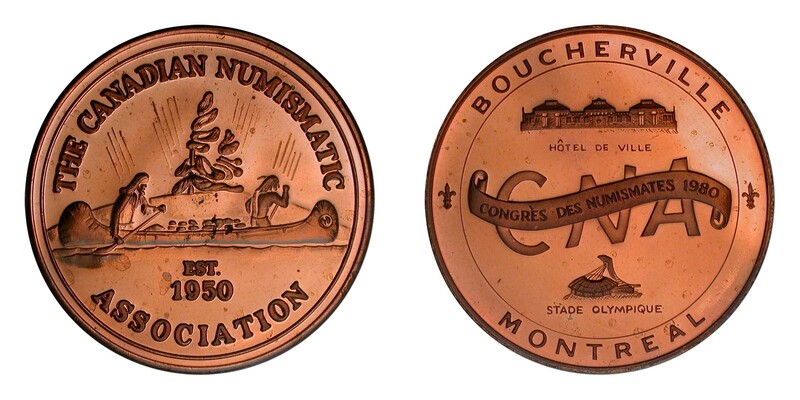 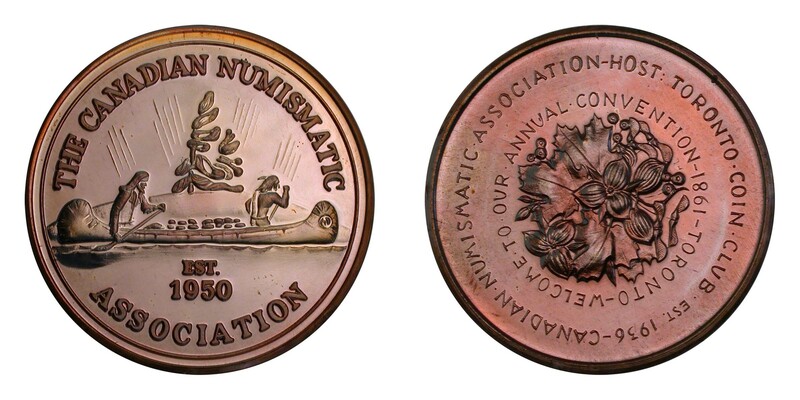 The annual Convention medal, struck on copper blanks, may be obtained as part of the convention registration kit. 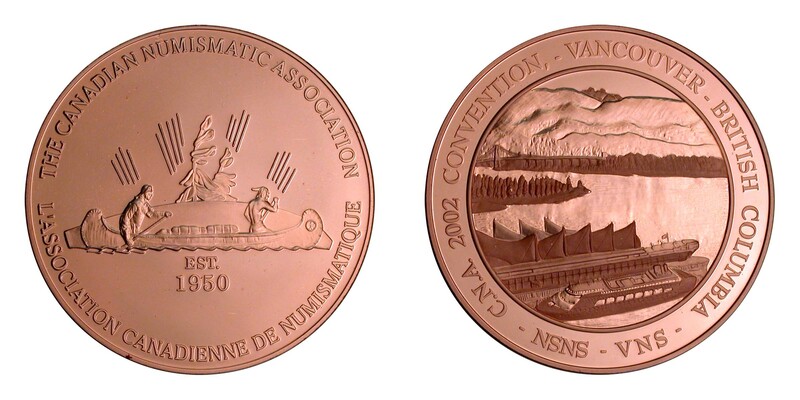 It may also be obtained on a first come, first served basis once attendees’ orders have been filled, via mail order in either silver (.999 fine) or copper metal. 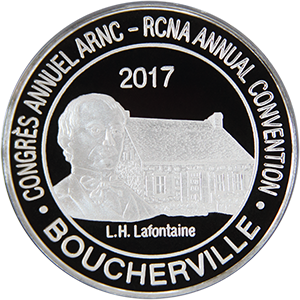 Details on availability and pricing will be published when the information becomes available. 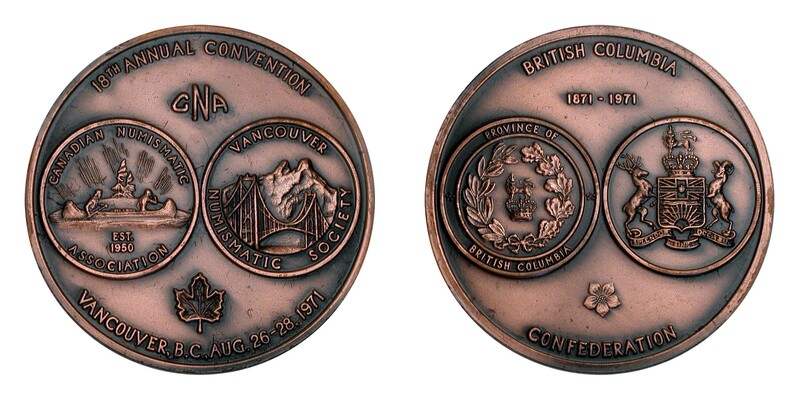 Details on ordering through the Internet will also be made available when pricing has been established. 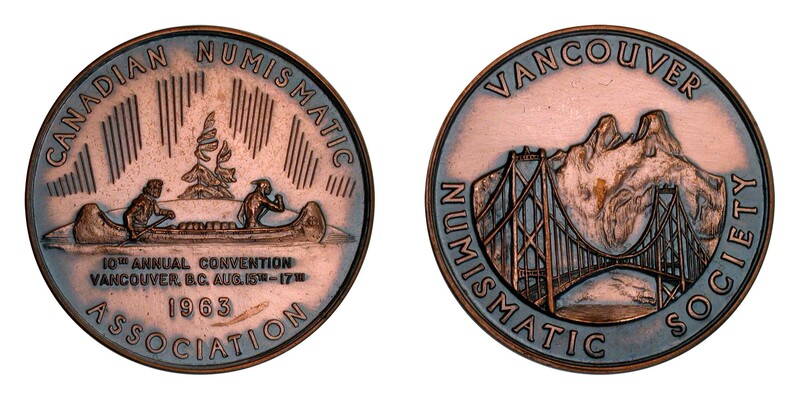 Medals may be ordered for pick-up at the Convention (either as part of the registration kit or ordered separately) or shipped out following the conclusion of the Convention for a small additional shipping fee. 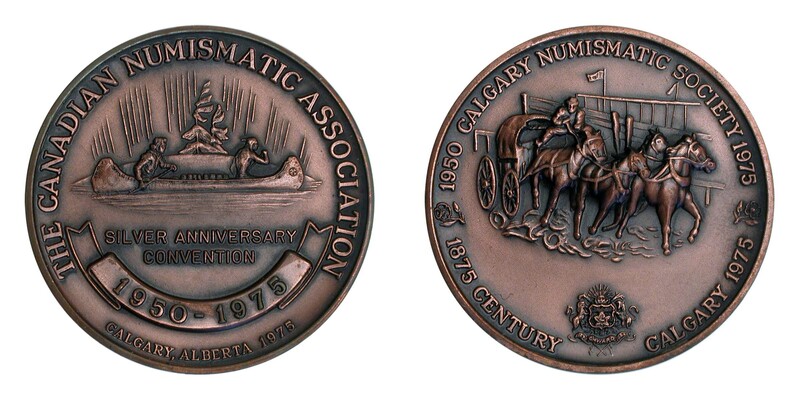 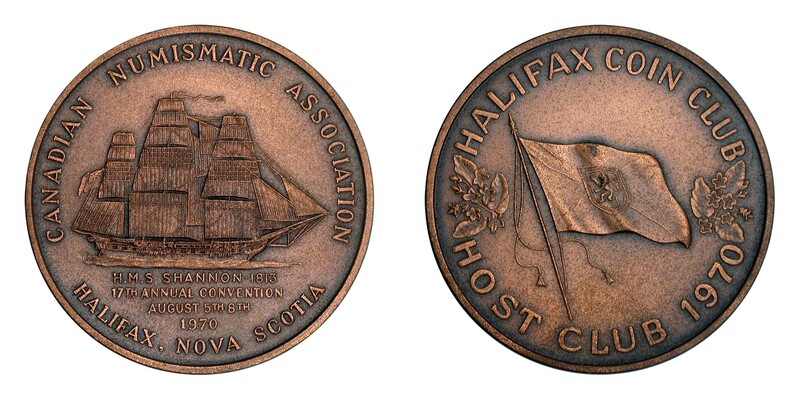 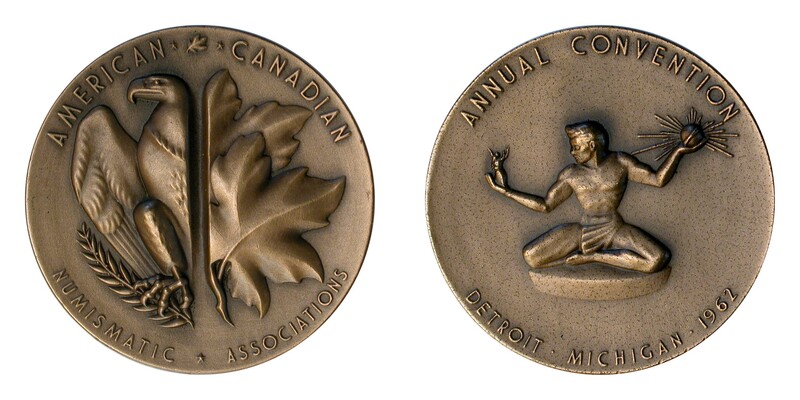 Canadian Association Medals - Volume Two. 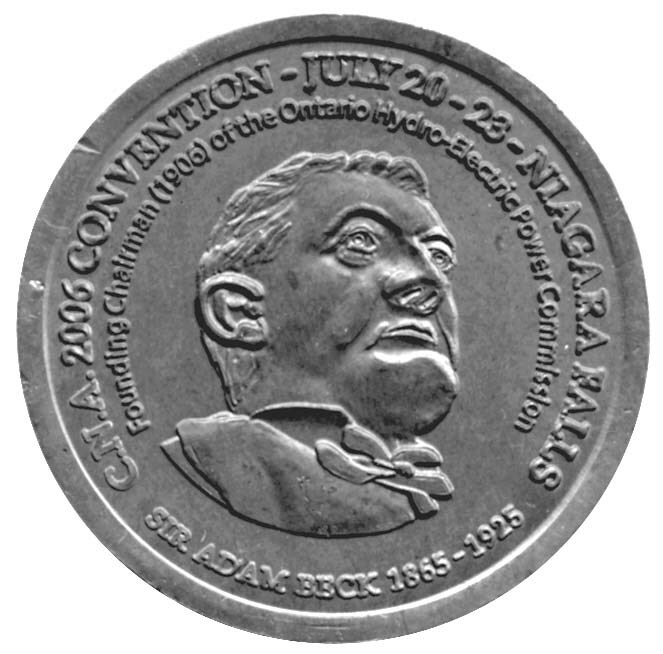 Author: William K. Cross, Editor: Jean Dale. 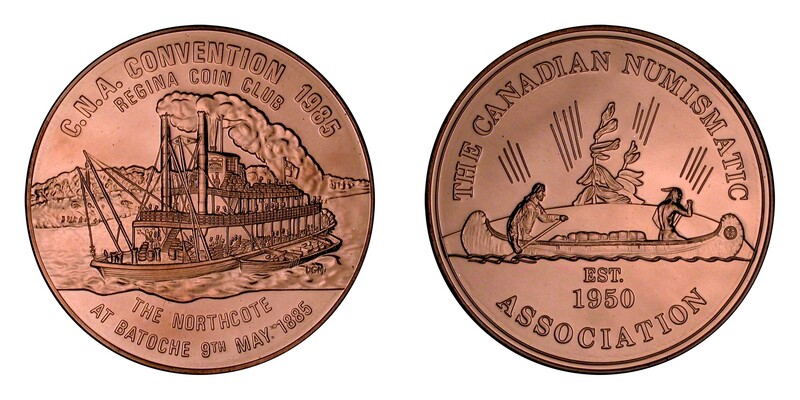 Available from The Charlton Press. 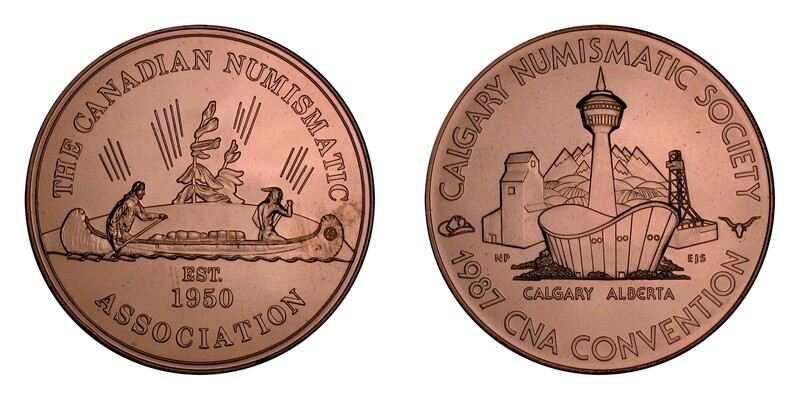 42nd 1995 Calgary, slogan: Head Your Tails to New Frontiers! 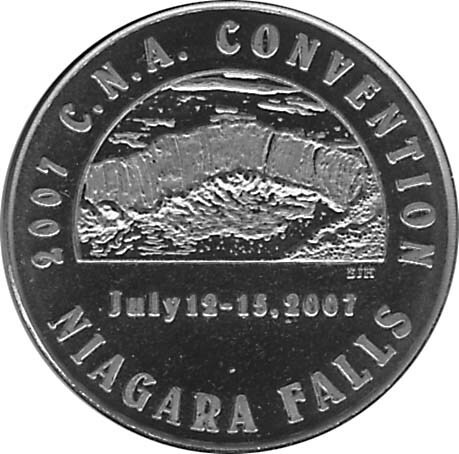 45th 1998 Edmonton, slogan: Join Us "on the trail of '98"
53rd 2006 Niagara Falls, slogan: It's Not To Be "Mist"